Vindale Research Surveys - Legit or Scam? There are many survey sites out on the Internet and Vindale Research Surveys is one of them. You need to be careful about which survey site to choose as there are many scams out there that might not take your money but will take your time which is a valuable commodity to just be giving up for nothing in return. Vindale Research is a website where you can sign up and take online surveys and get paid for your time and opinion. 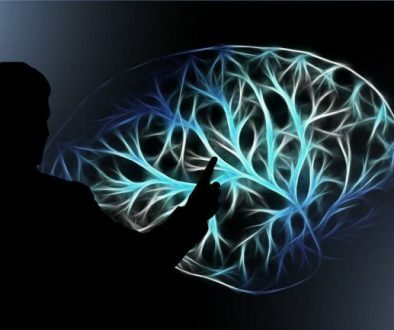 These kinds of sites are definitely not “get-rich-quick” schemes and if they say they are then it is more than likely a scam and there are many scam sites out there. Another sign that it is a scam is if you have to pay to join them. Survey sites are free to join so be aware of this. Vindale Research has been in business since 2005 now and they are accredited by the Better Business Bureau (BBB) with an “A” Rating. They also claim to have paid out over $6 million to their members so far and that they have worked with big name brands like Netflix, Amazon, and Disney. I do not think you can earn enough from doing surveys to make an actual living off of it. But if you are looking to supplement your current income with some extra cash then yes taking surveys will be one way of doing it. Doing surveys, unfortunately, takes a lot of time, so if you have spare time during the day or night you can earn yourself some cash. The problem with most survey sites is, yes it may only take 10 minutes to do a survey but the qualifying questionnaire that you have to do first to see if you qualify for the survey can take 20 – 30 minutes to fill out. Then you may not even qualify to take the survey and so you don’t earn any money. So a 10-minute survey could take you 45 minutes to complete to only earn $2.00. So expect to spend some time doing this line of online work. This will ideally for a stay at home wife or mother, students, retirees, unemployed, and anyone with time on their hands and are looking for an easy way to get some cash quick without having any experience and no upfront costs. Vindale Research offers a variety of ways of making some extra money online. Here is a list of what they have to offer. Take Surveys. The way this works is that companies will pay Vindale Research to place their surveys in front of its members, i.e. you, and then once you have qualified for the survey and taken it, then Vindale Research will pay you a small sum of money for your time. Just know that it may take 10 – 20 minutes to fill out a questionnaire to find out if you qualify for the survey and if you don’t, you don’t get paid. So it takes time to do. The great thing is that anybody can do this and earn some extra income from the comfort of your own home. Trial Testing Products. You can choose a product/service to try out for a certain time period for free or for a lower cost that Vindale Research will reimburse you for at the end of the trial. So for example say a product/service may cost $15 and the trial period is 30 days, then at the end of the trial period you will review the product/service and Vindale Research will pay you back, say $20, $15 for the reimbursement and $5 for your time and review. Be sure to remember to cancel any memberships that you try before the trial period ends or you will be charged for additional months and Vindale Research will only reimburse you for the trial time only. Make sure that you read the terms and conditions and instructions really well before signing up. Emails. Vindale will send you emails with affiliate links in them. You will get paid for every email that you click on and follow through with whatever the offer is about. You will earn $0.10 for each email that you open and interact with. This can add up really fast so it is a good method of earning an extra income. Watch Videos. How easy is this? All you have to do is watch a short video and you will get paid $0.25 per video. Cash Contests. There are daily Cash Contests where you can earn up to $15. The best way to find these are by participating in their social media postings and following the blog on the Vindale website. Referrals. Most sites have this option available too. Vindale offers you $5 commission for every person you refer to them that signs up. Not a bad deal as far as referral programs go. Post A Selfie. 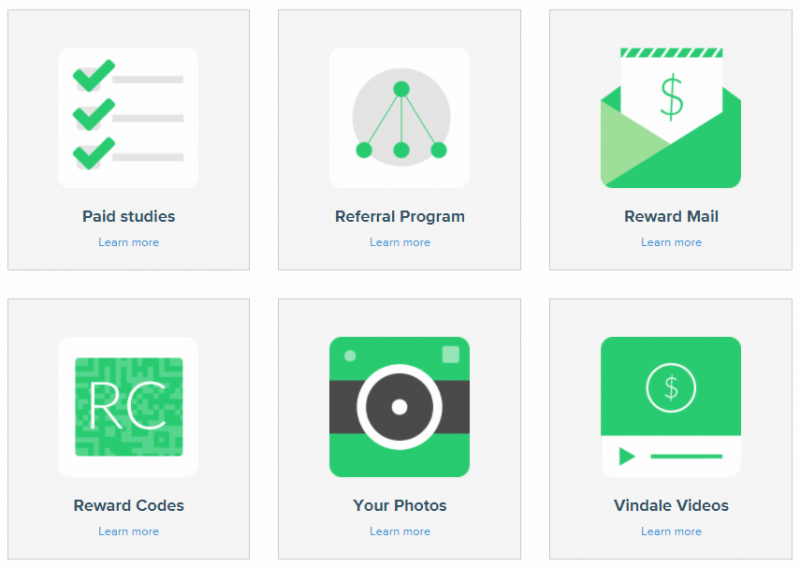 Once you have earned enough monies to cash out, which is $50, then when you receive your check or show proof of your earnings with a selfie photograph, Vindale Research will pay you $5 for uploading it to their site. The sign up for Vindale is free, so it costs you nothing to at least take a look. You can cancel your membership at any time too. Some of the methods require you to spend some money but Vindale research will reimburse you for that expenditure that you incurred, like in the Product Trial option. So are Vindale Research surveys legit? I think so for the most part. They are accredited with BBB and have an “A” rating with them for some years now. They seem to pay out just fine, at least in my experience with them. They do have a physical address, phone number, and email that you can contact them on should you need help with anything. I do not think you can make a lot of money doing this. The payouts are very low and you have to spend a lot of time doing the surveys. There just is not enough time in a day to make really good money with them. Although, they do have some surveys that pay out as much as $75 according to their claims. The product trials can pay out very well and you could make some decent cash with it but it takes some money to do it as you have to pay upfront first and only get reimbursed at the end of the trial. Most people who complain about this program is because they forgot to cancel or unsubscribe and get charged additional monies, which is in no way Vindale Research’s fault at all. I have researched the reviews that Vindale has received over the years and they seem to be 50-50 on whether they are worth it or not. It seems that most complaints are for taking long questionnaires just to find out that you don’t qualify for a certain survey. Others have had payout issues too. Looking for a way to to make money online? Serious about wanting to change your life for the better? The take a look at my #1 recommended platform to lean and launch your very own online business for free, no credit card required. If you have any questions or personal experience with Vindale Research, I would love to hear from you. Please leave any comments below and I will be happy to respond to you. Thanks for stopping by. 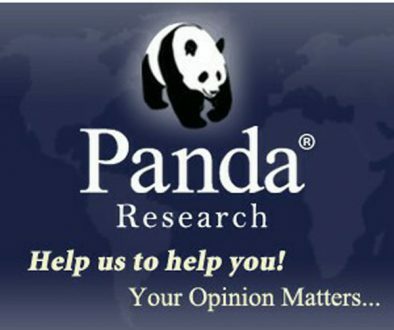 Panda Research – Are They Worth It? Shaw Academy Review – Are They Worth It? I have never heard of Vindale Research before. I am surprised that they have an “A” rating with the BBB despite having almost as much negative reviews as positive, and having almost 50 customer complaints! I am very skeptical of these survey sites but I understand that there are people who can’t do traditional work for one reason or another that might actually depend on income from survey websites, so thank you for your reviews! Hi Valerie and thanks for stopping by. Yes for some people surveys do work, generally, those that get to qualify for the high paying surveys. If can do some of those a week then you can make some money at least. Vindale Research is a legit platform in my opinion but they do have a lot of complaints too, so be wary. Like I mentioned in the article, I did not see any $75 surveys while I was a member. And I did not qualify for quite a few surveys either. But that was just my experience with them. They look for a certain demographic and I guess I did not fit it. Thanks for taking the time to read this and please come again anytime. Thanks for the information on Vindale Research Surveys. Can you please tell me whether Italy is among the allowed countries or not? Hi Bini and thanks for stopping by. According to Vindale Research, they allow the following countries; “You must be a citizen and resident of the United States (limited to the continental United States, Alaska, and Hawaii), Canada, Australia, or the United Kingdom to visit The Website and use The Service.” So I am sorry but Italy is not one of them. I have tried survey type companies in the past like Swag Bucks. This sounds like it is just about the same concept. Thank you for your informative post. These kind of deals are very deceiving, especially to those who haven’t encountered them before. You have done your readers a great service by writing this. Hi there. Thanks for the kind words. I agree that some of the promotions they run are very deceiving, like making u think that there are a bunch of high paying surveys u can slam out really quick when the reality is they are pretty few and far between. But you can make some money doing surveys, just not a lot at a time. I am glad you liked the article and stop by again anytime. 4 years ago I tried to sign up for Vindale Research. They would not approve me because I was not a US citizen. I thought I had missed out on a great deal but I can see that they are just like the rest of survey sites. Vindale Research was advertising $75 and more to do surveys and I believed them. I won’t sign up for Vindale Research. Every time I sign up for a survey site I leave without collecting my earnings which usually is about $7 or $8. It is hard for me to do 20 minutes in a survey to be told that I am not qualified. I appreciate your writing this article because I now know about Vandale Research. Hi Luna and thanks for reading my article. That is one of the downsides is that it is limited to just a few countries. I agree that it is not a good method of making money. There are much better ways of making money online that are more profitable but generally take a little more time and effort.They set the payouts way to high in my opinion, so that it takes a long time to build up enough money to actually get paid. When u are making only $2 per hour, to get to $50 will take some time. If u are lucky enough to qualify for the higher paying surveys then yes u can make a little more money a lot faster. I am glad that u found the article useful.